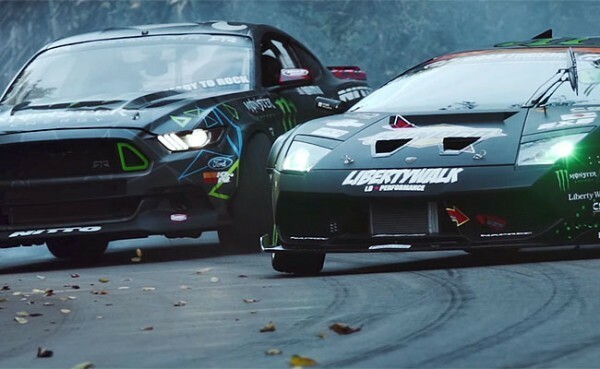 Home / Video / BATTLEDRIFT: Drift war between Mustang RTR and Liberty Walk Murcielago! 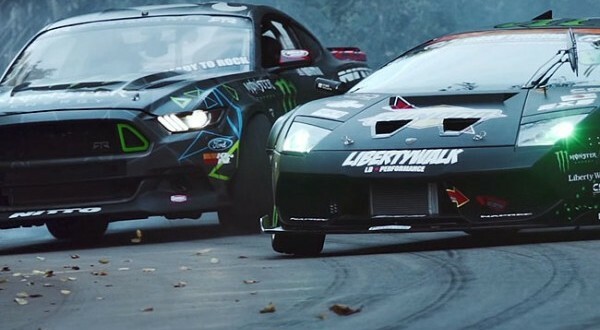 BATTLEDRIFT: Drift war between Mustang RTR and Liberty Walk Murcielago! Vaughn Gittin Jr. and its 550-hp Mustang V8 are in Japan, where they confronted with Daigo Saito and his extreme 650-hp Lamborghini Murcielago! War of the Worlds! In one corner we have Vaughn Gittin Jr. with his Ford Mustang RTR that has 550 horsepower thanks to a 5-liter V8, and in the other corner we have Daigo Saito that as its weapon carrying his Lamborghini Murcielago which is processed to be exclusively on rear-wheel drive and has 650 horsepower from the great V12! Both legends were faced in Niigata, Japan – and their duel could say that is one of the most exciting that we have ever seen. Let the speakers volume louder and enjoy the sounds of the V8 American muscular against V12 exotic Italian!